Stark Hollow Farm began as a vision to return to the land in the mid 2000's while we were living in Oakland California, both having spent many years working in corporate America. Our yearning led us east to Vermont, Laura's home state, in 2006. In 2008 we purchased our first 3 Icelandic ewes and a ram lamb which we raised, along with a small flock of heritage breed laying hens, on a small plot in Starksboro. The farm was named for our location on Big Hollow Road in Starksboro! We soon added a couple of feeder piglets and began to dream of expanding our flock beyond what our small plot could carry. The property in Starksboro was sold and in 2010 the farm took up a leased residence on an old hillside farm on the western slopes of the green mountains in Huntington Vermont. In that rugged landscape and rather extreme climate, we expanded our flock to 22 breeding ewes and began breeding, through artificial insemination, our first pure bred Tamworth sows. In late 2014, we purchase an old farmstead with 78 acres in Danville Vermont where we built a large timber frame barn and now maintain a flock of approximately 55 Icelandic Sheep, along with a small herd of Tamworth pigs and our flock of heritage breed laying hens. Having a craving for beef and fresh milk, and desire to continue to promote the heritage breeds, we added our first American Milking Devon cow who gave birth to her first calf in 2015. In 2017, we purchased two AMD heifers and an AMD bull. 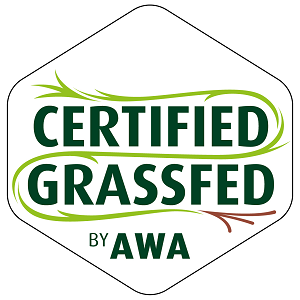 In early 2016, we obtained certification as an Animal Welfare Approved farm and obtained a grass fed certification through AGW for our lamb and beef. We look forward to refining our operation focusing on added specialty meat products, an expanded wool and fiber products line and a more diversified wholesale and retail operation. Future initiatives include possible organic certification of our fields and education workshops and webinars. Our mission remains to manage a small diversified farm in sync with nature, producing healthy, sustainable farm products from animals whose quality of life is our passion. 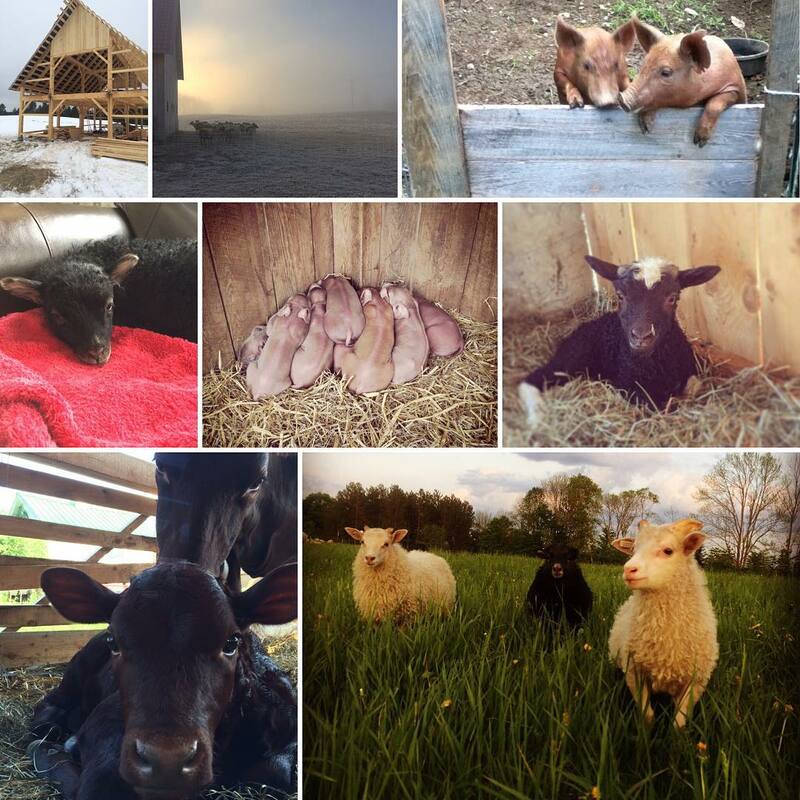 Stark Hollow Farm raises registered pure bred Icelandic sheep, registered pure bred Tamworth pigs, purebred Tamworth feeder piglets, and layer chicks and hens from our beautiful farm in Danville, Vermont. We offer Icelandic sheep for sale to small and large breeders. We offer healthy, delicious meat products, eggs, gorgeous Icelandic pelts and fiber products, and functional livestock shelters and equipment. We place an emphasis on the conservation aspects of raising heritage and primitive breed animals and focus on animal welfare rather than high production. We practice agroecology, which is a traditional way of using farming methods that are less resource oriented, and which work in harmony with society. 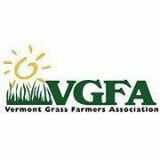 Our animals have been selected as suitable for the climate and geography of Vermont, and we pay special attention to soil, plant and nutritional needs of these beautiful animals. We maintain land use optimization and sustainability through rotational grazing, promoting symbiotic livestock relationships, and employing methods of sustainable building and resource development to support our mission. Shepherd Vincent came to the United States from Italy in 1989 to study. He obtained a civil engineering degree from Loyola Marymount in 1995 and a masters degree in civil and environmental engineering from MIT in 1997. While growing up in Italy, he spent weekends and summers attending to the farm animals on his uncle's farm in the Italian countryside. In attendance were horses, cows, pigs, goats, and food crops of rice, corn & soybeans. Today he still works as an engineer, applying his skills to his farm to produce utilitarian, yet artistic & sustainable items for use on Stark Hollow Farm. His philosophy of holistically managing a small pastoral farm infuses his work every day at Stark Hollow Farm. Laura was born and raised in Vermont. She obtained a bachelors degree in communication from the University of Southern Maine and has lived and traveled extensively in the United States as a business manager and entrepreneur. She brings her own personal experience growing up on a small homestead farm in northwestern VT where her family raised beef Shorthorn, chickens, geese, goats, and pigs. She acts as general farm hand, manages the business end of things and is the excited assistant during lambing. 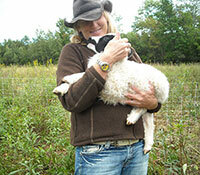 She is the resident gardener and she has a deep love and respect for the land and the rural Vermont way of life.